It’s the year 2020 and you’re in the hospital for a minor elective procedure that requires an overnight stay. Lying in your bed, you try to call for a nurse. You send your Tweet to the nurses desk. No nurse. You Tweet again, and again, and again. Where is the nurse???? The nurse never comes, because there are no nurses. 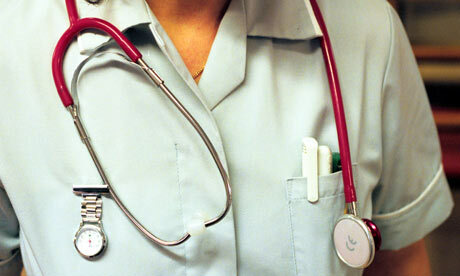 Senior nurses are leaving the profession in droves due to the PHYSICAL CHALLENGES of patient care. Did you know Nursing and other ‘patient handling’ intensive healthcare roles have one of the highest incidences of work-related back problems of all occupations? Understandable when you hear the cumulative weight lifted by a nurse in one typical 8-hour shift is equal to 1.8 tons. TONS! Patient handling is the #1 cause of Musculoskeletal Disorders among nurses. The incidence rates continue to climb, and the direct and indirect costs associated with back injuries for nurses is $20 billion annually. Over 750,000 work days are lost annually as a result of back injuries in nursing, with an estimated 40,000 nurses reporting illnesses from back pain each year. WHAT ARE THE HOSPITALS DOING ABOUT THIS? With this resource crisis looming, hospital administrators are scrambling to position their hospital or health network as the ‘employer of choice’ for nurses. Nurses are recruited like NFL free agents; signing bonuses, car allowances, flexible schedules, and front-loaded tuition reimbursements. In addition, Hospitals are stepping up efforts to keep senior nursing staff. Spa visits, entertainment nights, recognition events; yet still the nursing resource gap continues to widen. The healthcare industry must shift their thinking, shift dollars into programs that drive TRUE change and improvement, not just cosmetic changes. Enlightened hospital organizations are leading the way, implementing aggressive ERGONOMIC programs that drive positive change and make them the “Hospital Employer of Choice” among healthcare workers of all categories; nurses – seasoned and entry-level, aides and orderlies, technicians and other categories. The ERGOLAB team of Ergonomicsts works with hospitals to build comprehensive Ergonomic programs focusing on Patient Handling and Worker Safety. These programs are proven to drive down on-the-job injuries, increasing job satisfaction and staffer retention. Our programs focus on (4) areas; Cultural Change, Training, Tools, and Environmental Re-Design. The most important changes are CULTURAL. Hospital leadership must elevate EMPLOYEE SAFETY and well-being to the same level of importance as Patient Safety. Research shows that Employee Safety and Patient Safety are DIRECTLY connected. A safe and healthy Employee positively impacts the Patient. At present, 65% of hospitals have some type of Safe Patient Handling program in place; program efficacy is mixed. Leading the way is the work of the VA Hospital networks; their Safe Patient Handling Programs is serving as the model for the private sector. For more information, follow this link to an article detailing the VA’s work and private sector programs under development – http://bit.ly/7sNPXx. Ergonomics is not the sole answer to our country’s nursing shortage; it must be part of a hospital’s strategy to drive nurse retention, increase PRODUCTIVE days and reduce workers compensation costs. Cost savings from Ergonomics could be redirected into additonal recruiting and retention programs. Ergonomics can help.